Girls just want to have fun! 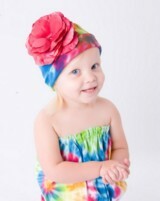 Our tie dye print hats are full of color and the little ladies love them. We use 100% soft, rib knit cotton. Hand wash, keeping applique dry and lay flat to dry. We are all about peace and love! The joyous energy and color of our tie-dye suits your little ones bubbly personality. 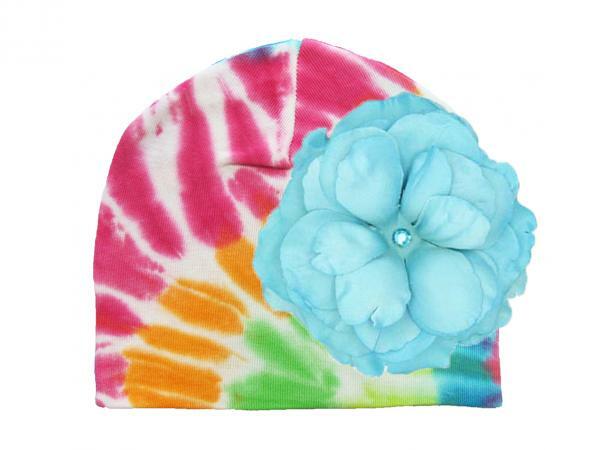 Each of our tie-dye hats is professionally tie-dyed and can be worn year round.